Using charts and, with them, technical analysis, is the most common form of financial back-testing. It is, at every step, using historical data and trying to draw conclusions from the patterns in the past to extrapolate them into the future. So if you use charts, it's time to use a pattern recognition engine to be robust. After rigorous testing over the periods from 2009-2019 and 2007-2009 (the period that includes the Great Recession) all of which spanned over 100,000 back-tests, today we demonstrate the technical conditions that have provided a strong short-term bearish momentum trigger for Nordstrom Inc (NYSE:JWN) and broadly speaking, the constituents of the Nasdaq 100. The goal is to create a portfolio of option trading backtests with alerts attached to them, so we don't have to watch the market all day, but rather Trade Machine is the work horse to notify when the ideas become actionable. Finding these patterns in Nordstrom Inc should be straight forward. Let's not worry about earnings. Here it is, first, we enter the long put. * Use a technical trigger to start the trade, if and only if these specific items are met. * The day that the stock crosses below the 200-day simple moving average (SMA) means that the stock has downward momentum and is in technical failure. * Stock price is also below the 50-day SMA -- further evidence of a technical breakdown through the moving averages. You can set an alert in Trade Machine®, which will track all of these moving parts for you, and message you when it triggers. In fact, you can do this with a portfolio of stocks for a portfolio of bearish and bearish triggers. Let Trade Machine do the work for you -- there's no need to stare at the screen. * Use a 40% limit and a 60% stop. At the end of each day, the back-tester checks to see if the long put is up 40% or down 60%. If it is, it closes the position. We leave more room on the stop side (larger stop than limit) from our discoveries in back-testing -- this was optimal and still led to far larger average winning trades by percent return than losing trades. This is not a magic bullet, rather it's a bearish technical analysis momentum strategy predicated on using pattern recognition in charts through moving averages and RSI, rather than manually drawling lines stock by stock. ➡ The average percent return per trade was 40.12% for each 14-day period. 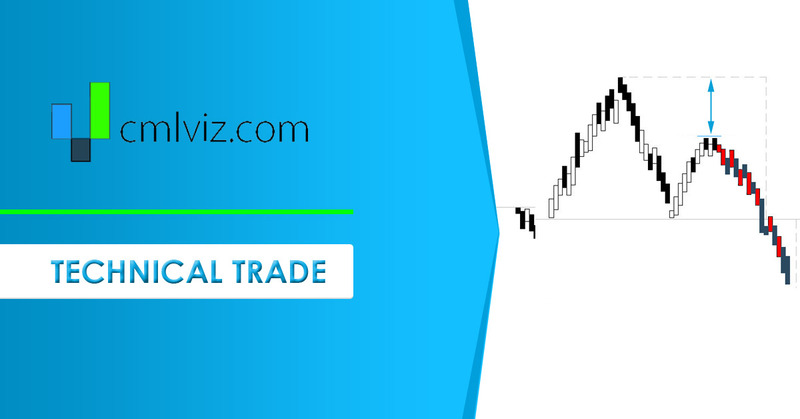 You can check to see the values of all the moving averages discussed above with real-time daily prices, including live after hours prices, for JWN by viewing the Pivot Points tab on www.CMLviz.com. * Over the one-year from March 2018 - March 2019, the average trade return was 17% using this technical trigger compared to just 6% using rolling puts with no technical structure. * Over 2-years, the average trade return was 39% using this technical trigger compared to -5% (negative) for the baseline. Apply your skills beyond drawing lines on one chart at a time -- tap here to use pattern recognition. You can do this.